We're all familiar with the blown-out, heavily compressed and sucked-about sounds that typify a lot of French house, but sometimes, you want the same kind of flavour in a more chilled-out setting. And that's where this week's SampleRadar collection comes in. If it represents one particular element of French house, it's the recliner in its living room. 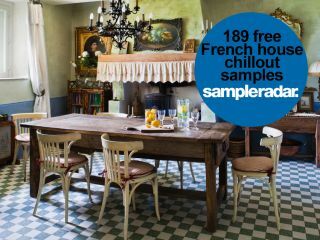 The French house chillout samples are divided into three tempo-labelled folders (120bpm, 128bpm and 140bpm). Each folder contains both rhythmic and instrumental loops. The French house chillout samples are supplied in a zip file, so you'll need to extract them before you can see them. Enjoy!